Vitamin B12 – A 3 ounce serving of liver provides more vitamin b12 than the recommended daily amount. B12 is OK to over indulge in since it is a water soluble vitamin that will pass through you if not used. Vitamin B12 helps to convert carbohydrates into glucose, maintain a healthy digestive system, aide in cell reproduction/renewal of skin and helps protect against cancer. Copper – You can get your entire daily dose of copper from a 3 ounce cut of liver. Copper helps your body create enzymes that support your metabolism and make antioxidants. Vitamin A – Yet another vitamin that you can max out your daily needs by having a small cut of liver! Vitamin A is an important vitamin for overall eye health and night vision. It also plays an important role in synthesizing red and white blood cells and regulating genes. It is an extremely important vitamin for keeping your immune system up. Zinc – Guess what…liver is full of zinc too. More zinc than you require in a day. Zinc is important for cellular metabolism, protein creation and wound healing. It is a vital mineral for those of you doing Crossfit who need your cells to keep up with your workouts! 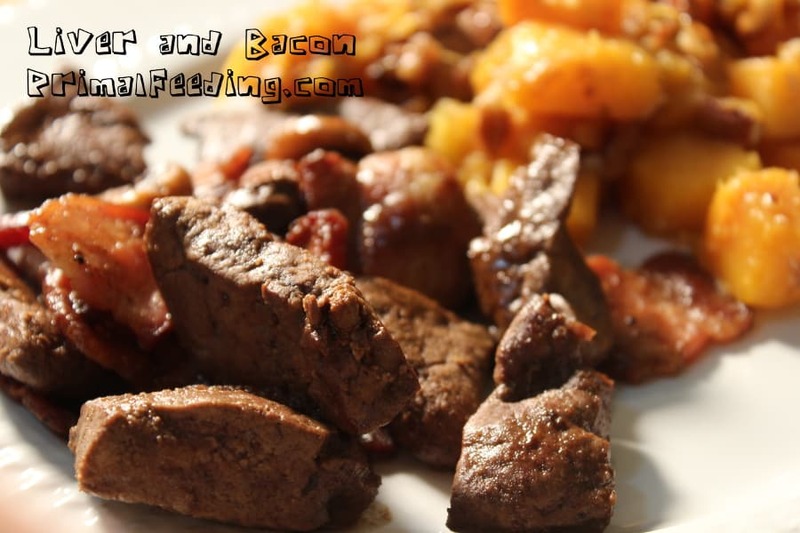 Protein – A slice of beef or veal liver will supply approximately 40% of your daily value of protein. Liver is made up of all of the essential amino acids. Fat – Liver is not exactly a lean protein. Eating a 3 ounce piece of liver from beef or veal will give you 5 grams of fat and 162 calories. Chicken liver has 142 calories and 5.5 grams of fat for the same serving size. Cholesterol – Liver has one of the highest counts of cholesterol of any food. Your own liver actually manufactures cholesterol in your body, so it only makes sense that this food would be high in it. The paleo diet is OK for high cholesterol, but you might want to speak with your doctor about this, especially if you have heart or blood pressure problems. Liver is loaded with so many nutrients that you might be neglecting in the rest of your diet, but is loaded with fat and cholesterol. Also, some of the nutrients in liver can become dangerous to your body if you overconsume them. Too much vitamin A or copper can become poisonous. You’ll want to regulate this by only having liver one or two times per week. 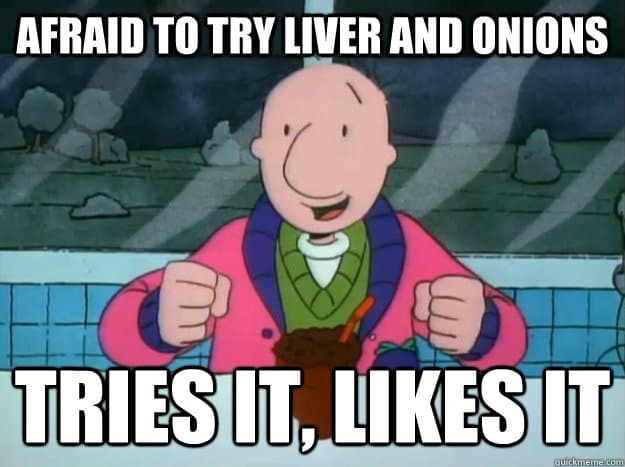 There is a certain taste that liver has that a lot of people despise. One trick that I learned to get some of this taste out is to soak the liver overnight in lemon juice. You don’t have to submerge the liver, you just need to coats it in lemon juice. 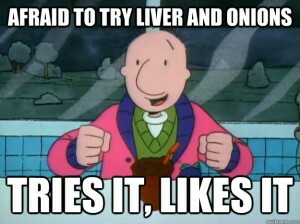 Supposedly it draws out some of the blood and toxins in the liver that make it taste gross. Also, try it with bacon! Everything is better with bacon!